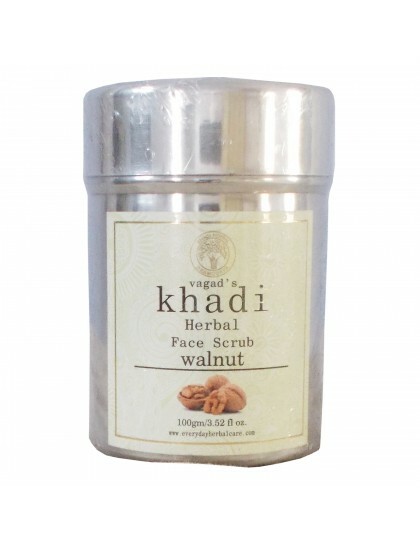 Khadi walnut Face Scrub for smooth & flawless skin. It is a perfect combination to clear and smoothen the texture; while removing the tan and brightening the skin tone. 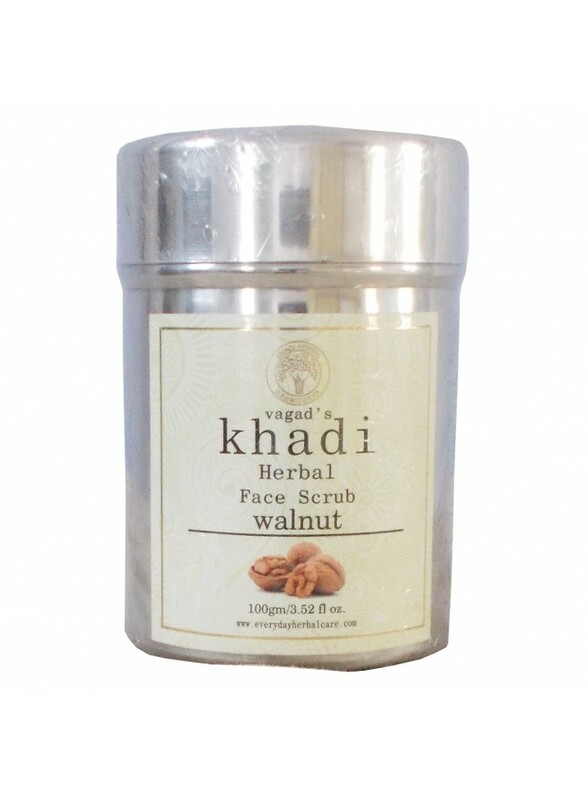 This scrub effectively exfoliates your skin. 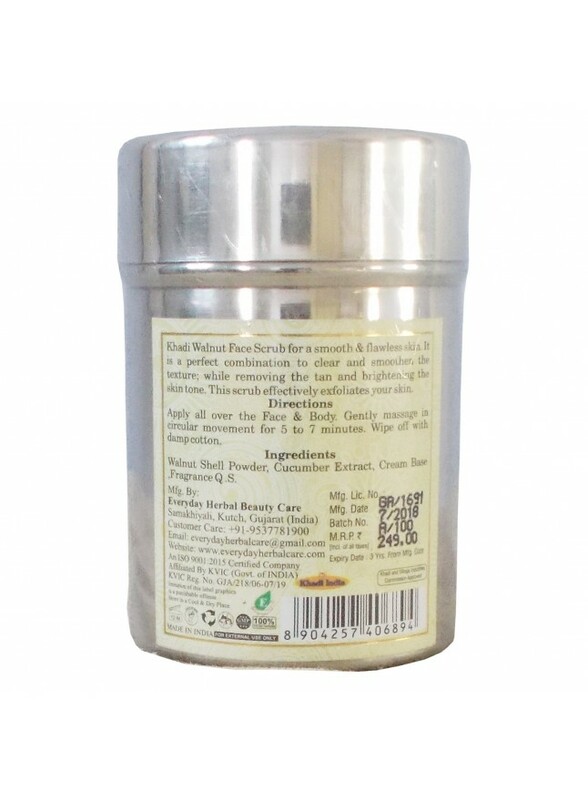 Ingredients:- Walnut shell Powder, Cucumber Extract, Cream base, Fragrance q.S.